Journal of Adventist Education | Self-Talk: Friend or Foe? Do our thoughts influence what we do and feel? As a teacher, I have always been interested in exploring what contributes to the motivation and self-confidence of my students as they take on new tasks or learning opportunities. This interest led me to eventually study to be a psychologist, which in turn introduced me to the research on the important role our thoughts have on actions and emotions. Often, these thoughts and messages expressed from our inner voice happen without our even realizing it. Internal dialogue is known as “self-talk.” Siegrist1 describes self-talk as a person’s inner speech, either aloud or within his or her own thoughts. This inner voice, which can be positive or negative, is often a subtle running commentary in people’s mind, reinforcing and confirming personal perceptions and beliefs about themselves and/or the world around them. 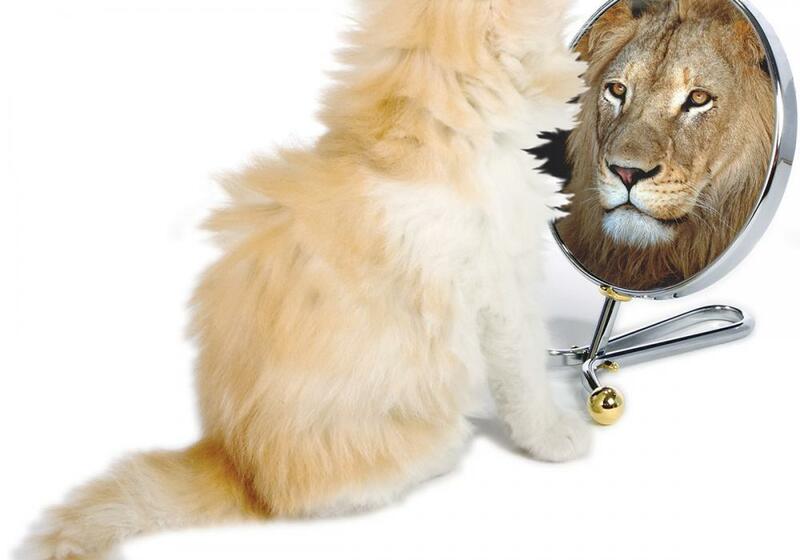 Positive self-talk helps people to feel good about themselves and increases motivation and feelings of competence. Negative self-talk tends to bring people down, leading them to give up or become overwhelmed with bad thoughts. Consequently, the negative self-talk generated by each of our students is potentially one of the most detrimental sources of criticism they will ever have to face, especially since such self-dialogue is constant and often goes unchallenged. Although I was unaware of the importance of self-talk as a third-grader, I do remember being affected by it. I had just moved to a new school, and the teacher announced she would be putting the class into different reading groups the next day based on how well we read. I took my reading book home to practice with my mom. I wanted to be in the “best” reading group because I knew one of my new friends would likely be assigned to that group, too. I liked reading with my mom. She listened well and gave me suggestions on how to improve my reading. “Take a breath after each period to pause a bit,” she would say, or “Please reread that part with a sad voice because the boy in the story is sad.” Her compliments came readily. “Great job. You are such a good reader!” she would encourage over and over, as I drank it all in. The following day when my teacher told me that she enjoyed how well I read, I remember thinking, “Of course I’m a good reader. Even my mom told me that!” From then on, for many years to come, positive self-talk about my reading skills came easily to me. But the opposite is also true. Negative messages we tell ourselves as children may also affect us, especially if they go unchallenged. For example, I rarely batted well in softball and often got to first base only after four balls and a “walk.” Many times, though, my “impatience” led to a “strike out!” call from the umpire. If I got up to bat when the bases were loaded, I would hear my teammates’ voices of doom: “Oh no, she’s up to bat!” while simultaneous squeals of delight emanated from the opposing team! On these occasions, my self-talk went like this: “Oh, no! Why me?” “I can’t hit the stupid ball far enough!” “We’re going to lose because of me!” “I can’t bat!” “I hate playing ball!” I was defeated before even going up to bat because my negative self-talk made me my worst critic! I would repeat over and over “I can’t bat. I hate softball” and avoided playing softball as best I could . . . that is, until high school when an affirming physical education teacher helped me change my self-talk. Her support helped me begin to tell myself, “She believes in me. Give it another try.” And so I did. In 12th grade, by the end of October, I became the pitcher of our senior softball team! This illustration reveals how easily one can get stuck by focusing on one’s negative self-talk, which can erode self-con-fidence and self-esteem, thereby impeding motivation to try anything! As Christians, we believe we can find a new resource in God, which can also improve our self-talk. Thoughts such as “I’m no good” can be transformed to “God loves me and I’m valuable” (per John 3:16). Or messages of “I’m alone and have no one” can be replaced with words of comfort from Christ who tells us, “‘I will not leave you as orphans; I will come to you’” (John 14:18, NIV). Let’s pause here a moment to explore the possibility that a person really is terrible at softball, math, or public speaking. Rarely is anyone good at everything! In fact, it would be ineffective and unhelpful to avoid recognizing the truth. So how does one decide whether his or her negative self-talk is true or not, and if true, what makes it destructive? Negative self-talk is particularly damaging when it keeps us mired in feelings of failure. While it may be impossible to consistently engage in positive internal dialogue during challenging times, intentionally working on limiting the use of negative self-talk and focusing rather on one’s strengths is important and a better use of mental energy. I would suggest becoming intentionally aware of one’s self-talk, assess what evidence supports it, seek outside feedback, and then focus on what strengths can move us forward. Good use of self-talk would have guided me to recognize my deficits in softball, while also identifying my strengths. For example, “I’m not great at softball and dislike playing it, but I am a great cheerleader for my friends who are playing on the field.” Another example would be “I may sing badly, but I can give a great speech!” This kind of self-talk focuses on the things one can do well. The early work of researchers in this area2 suggested that positive self-statements and images are so powerful that they have positive effects on stored knowledge of self; they prepare a person to engage in future positive behaviors. Conversely, negative self-statements and images have deleterious effects on stored knowledge of self and stimulate subsequent negative behaviors. Self-talk starts in the early years of childhood and comes naturally to everyone. Our private talk messages stem from the beliefs we develop about ourselves throughout our lifetime, assimilated from the way we interpret messages from others (parents, siblings, relatives, classmates, teachers, bosses, etc.). By intentionally listening to your own self-talk, you can evaluate how you see yourself. Do you like yourself? Do you tend to feel defeated before even trying? Do you feel confident? Do you see your-self as a winner or a loser? Each of us uses internal dialogue to assess who we are, how others see us, how we see ourselves, what we feel we can or cannot do, how well we do things, what decisions we will make, and whether or not we are valued. It’s like an inner critic that never stops—constantly affecting our actions and decisions. It is important to stay in tune with the tone of these messages and the way we appraise ourselves. A study by Kross et al.4 suggests that how one positively self-talks is also important. When we self-talk using the first person pronoun “I,” we are usually talking about our personal emotions and emotional self. However, positive self-talk that seeks to provide a call of action or directive is most effective when it promotes self-distancing, either by “self-talking” using a second-person pronoun (“You will do fine.”) or third-person pronouns (“She will do fine.”) when referring to self. They suggest that self-distancing appears to help people cope not only with depression and anger related to ruminating over the past but also with social anxiety surrounding the future. In short, to achieve motivational change and drive, self-talk using the second- or third-person pronouns is most effective. One Bible story that illustrates the power of self-talk is found in 1 Kings 18 and 19, where God asks Elijah to go up and confront King Ahab, Queen Jezebel, and her 450 prophets of Baal, in order to see who is more powerful, Baal or the God of Israel. After a long, grueling day of watching the prophets of Baal shouting and pleading unsuccessfully to their god, Elijah steps up to take his turn, prays a simple prayer to God and zap! A bolt of fire from heaven instantly consumes the sacrifice, which had been drenched in water. And as a bonus, no sooner had Elijah asked God to end the three-year drought, the skies “grew black with clouds, the wind rose, (and) a heavy rain started falling” (1 Kings 18:45, NIV).5 Great day for Elijah and all of God’s followers! God’s power was manifested for all to see! One would think Elijah would say to himself, “Wow! With God for me, who can be against me?” However, soon after this great triumph, Elijah is prostrate with fear because “powerful,” scary Jezebel is on her way to end his life! As he flees to the desert to hide from her, he expresses his own death wish by saying, “‘I have had enough, Lord. . . . Take my life’” (1 Kings 19:4, NIV). This does not make sense to any of us looking on! How can Elijah, one minute, experience God’s great power and omnipotence, and the next, run scared? What’s going on? This is a good example of how negative self-talk can lead us to depressive thoughts and to the conviction that we are doomed for failure even when we have the resources standing by to help us succeed! Most likely, Elijah’s inner talk went something like this: “She’ll find me and rip me apart! I won’t be able to defend myself! I’m alone, and she has many soldiers to fight for her! Run!” Even though Elijah was standing in the “rains” of God’s almighty power, his negative self-talk overwhelmed him. Many researchers believe that what happens to us in life is the primary cause of why we feel angry, hurt, stupid, rejected, stressed, or anxious. Thanks to the work of Albert Ellis, Aaron Beck, and Daniel Meichenbaum,8 world-renowned psychotherapists whose professional work highlighted the need to intentionally explore one’s thinking, we now know the importance of eliminating negative thinking in order to respond and/or behave in a more functional way. Unchecked, negative self-talk can impede motivation and future successes and affect how we interpret events in our lives. For instance, let us say that Jake9 is bringing his girlfriend Susan a gift, an album from one of her favorite artists. She sees him approaching and says to herself (self-talk), smiling, “He truly likes me. He remembered my birthday, and I’m special to him.” How will Susan react to the gift? Whatever she does, we know it will most likely be positive, right? But, on the other hand, if she has been told by friends that Jake and Amanda were seen holding hands and texting each other, she might think to herself, “That creep! He knows I found out that he’s been flirting with Amanda, and now he bought this album to appease me!? We’re finished!” How will she respond to him now? Most likely, very negatively! Even if he says to her, “But I like you and want to be your boyfriend,” if Susan continues to believe he’s playing her, nothing will change her mind or her reaction. Now, whether or not Susan becomes depressed will also likely depend on her self-talk. Let’s say she tells herself, “I’m no good. I’m not as attractive as Amanda—no wonder he likes her better,” then most likely this will reaffirm her feelings of low self-esteem and unattractiveness and possibly lead her into depression. If, however, she tells herself, “I’m glad I found out now what he’s like. I deserve better,” then she will most likely get over the event more quickly and move on. You see, it is often not really the event that affects our feelings but rather what we believe and tell ourselves about what happens to us that shapes our feelings. Start with yourself as a person, as a teacher. What is your self-talk like? Tune in to the self-talk of your students and help them develop awareness of how this shapes their attitudes. Is self-talk their friend or their foe? Implement activities that guide students’ self-talk to the positive, productive, and empowering end of the spectrum. Find a resource in God and contemplate how valuable He regards you and your students to be. Step one. Start with yourself. What is your self-talk like? Think about what triggers your positive or negative self-talk during the day. Keep a journal. It will be easier to help your students identify their self-talk if you have gone through the process yourself. Step one is not just about identifying your self-talk messages but also about projecting your best talk outward. Intentionally work to make your classroom an affirming place. Watch for opportunities to affirm what your students are doing. Did you see one child help another? Affirm that, as well as the student. “Jon, I liked how you helped Sam. You are so thoughtful.” Did you observe a student studying quietly at her desk? Walk over and affirm her. “Nikki, I see how quietly you are reading at your desk. Great job. You know how to use your time wisely.” Become the role model they need to see how it is done. Studies suggest that statements made by significant others in the lives of children and young adults have an influence on helping them develop a better self-concept and healthier self-talk.10 According to Harter,11 these significant others are the children’s parents, teachers, classmates, and close friends. When teachers make a conscious effort to model positive feedback to their students, this contributes positively to their helpful self-talk. Children who reported that significant others talked positively to them appeared to have higher positive self-talk and lower negative self-talk than children who stated that significant others said negative things to them.12 Researchers Craven, Marsh, and Debus report that children will actually internalize the positive feedback they receive from teachers, such as “You did well on that spelling test, congratulations,” and use this to inform their personal self-talk (“I am good at spelling,”) and to confidently complete similar tasks in the future. From these self-statements, children create self-concepts that describe their skills and impact their interests. Burnett13 calls this the “power of positive” because the teacher is improving the school environment by increasing the number of positive self-statements in the classroom and creating a healthier learning environment. Additionally, students copy what they see. If they observe that a teacher treats others with patience, respect, and kindness, they will be inclined to do the same. Teachers must keep in mind that what they say, how much they say, how they say it, and to whom they say it can greatly influence a child’s estimation of self-worth and also affect how students treat one another. If, for example, students see that their teacher dislikes Brandon and finds him annoying, they will likely develop the same attitude. The opposite is also true: If the teacher’s attitude toward Brandon is one that recognizes him as a valued member of the class, they will tend to do the same. Step two. Observe and listen to your students’ inner talk to find out what they are telling themselves. Sometimes they will express their feelings out loud. If students are engaging in positive self-talk, they are more likely to say “I can do this,” “I’ll give it a try,” “I am liked,” and “I have good friends” (to name a few). This self-talk will most likely lead to their trying harder to memorize their multiplication tables, to sound out difficult vocabulary words, or to cope better when friends rebuff them. If students’ self-talk is negative, you will hear statements such as “No one likes me,” “I’m stupid,” “I can’t do it,” or “I’ll never get this.” This could indicate that such children are depressed because they believe they have no friends, or feel overwhelmed by problems they feel incapable of solving. Another way to pick up on your students’ negative internal messages is to observe their behavior. For example, are they not turning in homework, eating alone at lunch, or not playing with others during recess? Ask them why they are not turning in their homework or tend to be alone as well as what they are thinking. Finding ways for students to identify and become aware of self-talk messages can help them change the ones that drive them toward failure. Activities such as keeping a writing journal of the thoughts that help or don’t help them, or discussing the topic in class after reading a story (such as The Little Engine That Could) are great ways to develop such self-awareness. Presenting case examples or watching movie clips and then having the students identify and discuss the self-talk of the people in the story will also help to demonstrate the effects of one’s inner dialogue. After such discussions, encourage students to write about their personal struggles and look for insights into the self-talk they use every day. Ask them which negative dialogues they would like to change into more positive ones. These exercises and discussions will help them learn to pay attention to the thoughts that cause the emotions they feel. Remember, self-talk often occurs at a low level of awareness since our attitudes and beliefs develop throughout our lives, and it often results from the feedback we receive from loved ones, teachers, and friends. Recognition is the main task during the early steps. If students don’t recognize what kind of self-talk they use, the negative messages will continue to dominate, depriving them of the positive self-dialogue that can help them cope, stay motivated, and feel good about themselves. Create a unit on the importance of self-talk, and have the whole class identify the difference between positive self-dialogue and negative self-talk. The unit can be integrated into the elementary and secondary curriculum, as either a stand-alone module or a supplement in subjects such as religion or health. Devise topical lessons and themes for the month using catchy phrases such as “Deleting Defective Files,” “Positive Uploads,” “Stomp Out Mind Viruses Fast” or “Think Positive!” (or invent your own). Write and have the students act out a play that demonstrates the power of self-talk, and then have the students make preparations to present the skit for students in earlier grades. Initiate classroom discussions on how to pick out the messages that are detrimental to our internal dialogue and replace them with positive ones. Create a game where students pair contrasting negative messages with positive ones. Find ways to encourage the whole class to watch out for negative self-talk and turn it around. Be a role model. Have students share ways they have used self-talk to help themselves overcome difficult tasks or situations as they happen. Address these issues at Parent Teacher Association (PTA) meetings or Parent Night. Get the students’ families and the school family working on this together. Inserting positive self-talk as quickly and concretely as possible and replacing negative self-talk are key. Finding ways to have your students practice shutting off the negative words by actually telling themselves to “stop” the thought is a great self-talk activity to practice throughout the day. In psychology, this is a technique called “thought stopping.” It has been shown to help one snap out of the negative cycle one can get into.19 The earlier our students can cut off these attitudes, the better. Model how to do this. For example, tell them that if they catch themselves saying “I’ll never pass this test,” they should immediately reject the negative thought and replace it with a statement that is more rational and accurate. For example: “I can pass if I prepare myself adequately for the test,” or “I’m no dummy. I’ve passed many tests before.” Or “I can do this. I will start preparing right away.” Not only are these thoughts more truthful, but they also displace the negative attitude with more productive, helpful ones. Provide students with lists of negative messages and work together to identify positive answers to them. Engaging in these activities and others you continue to create will not only contribute to a more affirming and supportive classroom environment but also help students blossom with the positive spirit generated by positive self-talk. These activities will also help children who do not receive many good messages from other people and teach them how to develop them. Step four. Cultivate and nurture a positive atmosphere throughout the school. Discuss how to be a positive, uplifting friend and why negative self-talk is a “downer.” Discuss how friendships can support either positive or negative self-talk, and role-play how this happens and what it looks like. Schedule a week when everyone is asked to search for and find positive, uplifting messages in songs and music and have them share them in class, telling why they think the message is a positive one. Create a unit with the following assignments: Identify positive uplifting messages in books, music, and other media and share them with classmates. After a discussion, ask the students to take a few moments to describe the positive thoughts these books led them to experience. Brainstorm other forms of entertainment in which one could engage daily that would produce positive energy. Step five. As Christians, we believe we can find a new resource in God, which can also improve our self-talk. Thoughts such as “I’m no good” can be transformed to “God loves me and I’m valuable” (per John 3:16). Or messages of “I’m alone and have no one” can be replaced with words of comfort from Christ who tells us, “‘I will not leave you as orphans; I will come to you’” (John 14:18, NIV). Teachers can add these beautiful thoughts to any lesson on self-talk. Paul’s thoughts, when understood in the context of the importance of positive self-talk, take on a whole new meaning: “Finally, brothers and sisters, whatever is true, whatever is noble, whatever is right, whatever is pure, whatever is lovely, whatever is admirable—if anything is excellent or praiseworthy—think about such things. Whatever you have learned or received or heard from me, or seen in me—put it into practice.” “And the peace of God, which transcends all understanding, will guard your hearts and your minds in Christ Jesus” (Philippians 4:8, 9, 7, NIV). Have discussions in class about how to treat and interact with others, keeping in mind that we are all God’s children. Discuss ways we can be uplifting and positive in our Christian walk, identifying how Christ did this while He was on Earth. By practicing these steps, teachers and their students will get into the habit of thinking positively. Be patient. It may take many weeks or months to refute the repertoire of negative messages. Identifying this kind of “self-indoctrination,” challenging it, and replacing it with healthier self-talk presents the same sort of challenge as breaking any entrenched habit. It may take a lot of work, but in the end, it is well worth it. Teachers will be amazed as these strategies will help improve the spirit of love and support in their classrooms, leading to healthier, happier, more positive, and productive lives for themselves and their students. 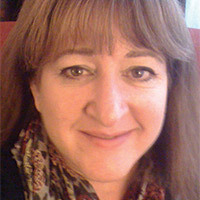 Nancy J. Carbonell, PhD, is a Professor in the Department of Graduate Psychology and Counseling at Andrews University, Berrien Springs, Michigan, United States. A licensed psychologist, Dr. Carbonell also maintains a part-time private practice in the Berrien Springs area. She has published in the areas of family life, race relations, and the power of self-talk. Her research interests include understanding diversity, the effect of values and beliefs on multicultural relations, and the ethical training of counselors. Michael Siegrist, “Inner Speech as a Cognitive Process Mediating Self-Consciousness and Inhibiting Self-Deception,” Psychological Reports 76:1 (February 1995): 259-265. Michael Bruch, Victor Meyer, and Edward S. Chesser, “The Role of Evaluative Self-Schemata in Self-Talk: Some Predictions and Explorations,” Scandinavian Journal of Behaviour Therapy 16:4 (January 1987): 149-166; Donald Meichenbaum, Cognitive-Behavior Modification: An Integrative Approach (New York: Plenum, 1977); Max R. Uhlemann and Sharon A. Plater, “Effects of Self-Statements and Coping Strategies on Adaptational Outcomes of Stress,” Canadian Journal of Counselling and Psychotherapy 24:1 (January 1990): 3-16. Barbara L. Fredrickson, “The Role of Positive Emotions in Positive Psychology: The Broaden-and-Build Theory of Positive Emotions,” American Psychologist 56:3 (March 2001): 218-226; Eric L. Garland et al., “Upward Spirals of Positive Emotions Counter Downward Spirals of Negativity: Insights from the Broaden-and-Build Theory and Affective Neuroscience on the Treatment of Emotion Dysfunctions and Deficits in Psychopathology,” Clinical Psychology Review 30:7 (November 2010): 849-864; Jeremy T. Goldbach and Jeremy J. Gibbs, “Strategies Employed by Sexual Minority Adolescents to Cope With Minority Stress,” Psychology of Sexual Orientation and Gender Diversity 2:3 (September 2015): 297-306; Divya Kannan and Heidi Levitt, “A Review of Client Self-Criticism in Psychotherapy,” Journal of Psychotherapy Integration 23:2 (June 2013): 166-178; Christopher R. D. Wagstaff and John Leach, “The Value of Strength-Based Approaches in SERE and Sport Psychology,” Military Psychology 27:2 (March 2015): 65-84. Ethan Kross et al., “Self-Talk as a Regulatory Mechanism: How You Do It Matters,” Journal of Personality and Social Psychology 106:2 (February 2014): 304-324. Bible texts in this article credited to NIV are from the Holy Bible, New International Version®, NIV® Copyright © 1973, 1978, 1984, 2011 by Biblica, Inc.® Used by permission. All rights reserved worldwide. Lev S. Vygotsky, Thought and Language (Cambridge, Mass. : MIT Press, 1962). Vygotsky’s work was originally published in 1934. E. Jane Costello, et al., “Prevalence and Development of Psychiatric Disorders in Childhood and Adolescence,” Archives of General Psychiatry 60:8 (August 2003): 837-844. Albert Ellis, “Rational Psychotherapy and Individual Psychology,” Journal of Individual Psychology 13 (January 1957): 38-44; Albert Ellis, Overcoming Destructive Beliefs, Feelings, and Behaviors: New Directions for Rational Emotive Behavior Therapy (Amherst, N.Y.: Prometheus Books, 2001); Aaron T. Beck, Cognitive Therapy and the Emotional Disorders (New York: Plume, 1979); Meichenbaum, Cognitive-Behavior Modification. Paul C. Burnett, “An Investigation of the Social Learning and Symbolic Interaction Models for the Development of Self-Concepts and Self-Esteem,” Journal of Family Studies 2:1 (April 1996): 57-64; Paul C. Burnett, “Children’s Self-Talk and Significant Others’ Positive and Negative Statements,” Educational Psychology 16:1 (March 1996): 57-67. Susan Harter, Manual for the Social Support Scale for Children (Denver, Colo.: University of Denver, 1985). Rhonda G. Craven, Herbert W. Marsh, and Raymond L. Debus, “Effects of Internally Focused Feedback and Attributional Feedback on Enhancement of Academic Self-Concept,” Journal of Educational Psychology 83:1 (March 1991): 17-27. doi:10.1037/0022-0663.83.1.17. Paul C. Burnett, “Children’s Self-Talk and Academic Self-Concepts: The Impact of Teachers’ Statements,” Educational Psychology in Practice 15:3 (1999): 195-200. Philip C. Kendall and Muniya S. Choudhury, “Children and Adolescents in Cognitive-Behavioral Therapy: Some Past Efforts and Current Advances, and the Challenges in Our Future,” Cognitive Therapy and Research 27:1 (February 2003): 89-104. Alain Morin, “Self-Talk and Self-Awareness: On the Nature of the Relation,” The Journal of Mind and Behavior 14:3 (Summer 1993): 223-234; Alain Morin, “Possible Links Between Self-Awareness and Inner Speech: Theoretical Background, Underlying Mechanisms, and Empirical Evidence,” Journal of Consciousness Studies 12:4, 5 (April/ -May 2005): 115-134. Ann-Marie R. Depape et al., “Self-Talk and Emotional Intelligence in University Students,” Canadian Journal of Behavioural Science 38:3 (July 2006): 250-260. doi:10.1037/cjbs2006012. Andrew Coleman, A Dictionary of Psychology, 3rd ed. (London: Oxford University Press, 2009). John D. Mayer, Richard D. Roberts, and Sigal G. Barsade, “Human Abilities: Emotional Intelligence,” Annual Review of Psychology 59 (January 2008): 507-536. doi:10.1146/annurev.psych.59.-103006.-093646. Richard Owen Lightsey, Jr., Edward Johnson, and Paul Freeman, “Can Positive Thinking Reduce Negative Affect? A Test of Potential Mediating Mechanisms,” Journal of Cognitive Psychotherapy 26:1 (February 2012): 71-88. doi:10.1891/0889-8391.26.1.71.